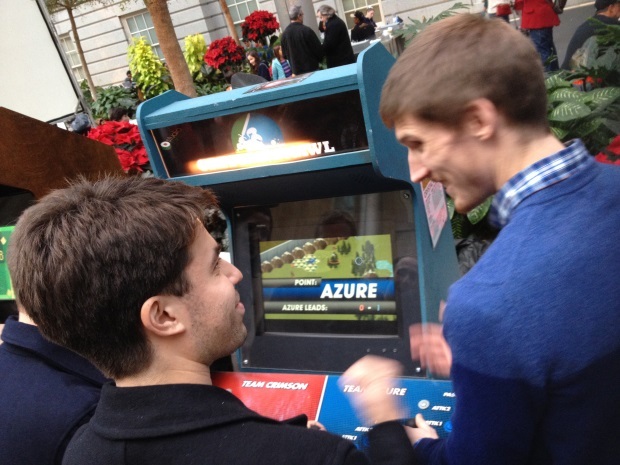 Crystal Brawl at the Smithsonian American Art Museum!!!! WHAT! 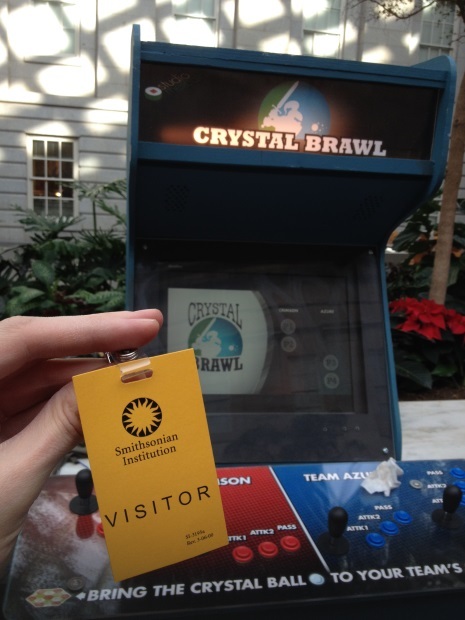 So by an amazing turn of events, our arcade version of Crystal Brawl was featured at a game event at the Smithsonian American Art Museum in DC! 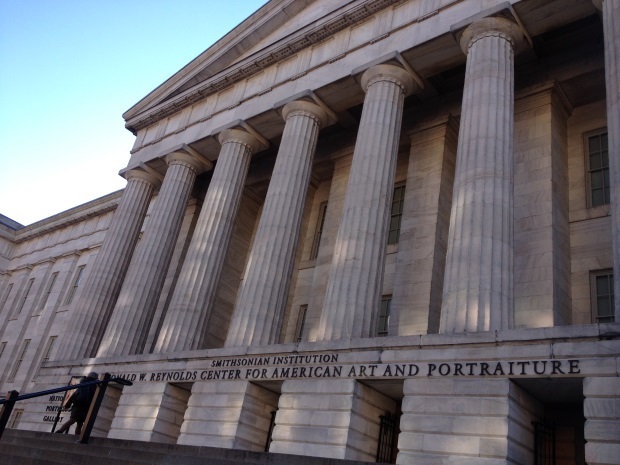 …So our game is going in here? What universe is this? We were invited down to the pop-up event as part of the illustrious Death By Audio Arcade, courtesy of the fine folks at MAGFest (which we’re also heading to in January! ), and it was just nuts. Over a thousand people showed up! Not only did the DBA Arcade have its own section, alongside the venerable Killer Queen, but there was also a classic arcade section, a collection of console setups ala MAGFest, panels and talks, plus curated sections from Games For Change, IGDA Baltimore, Philly and DC, and the museum itself! 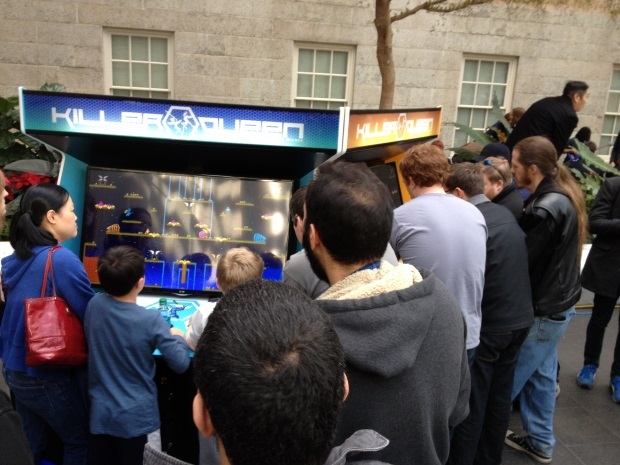 Killer Queen always draws a crowd! 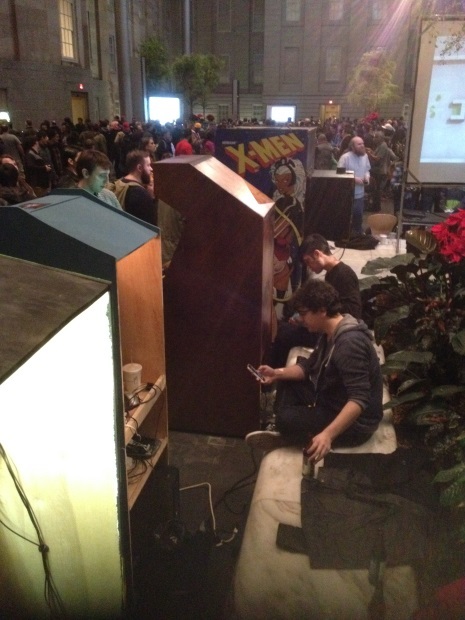 A mini version of MAGFest’s signature console setup. 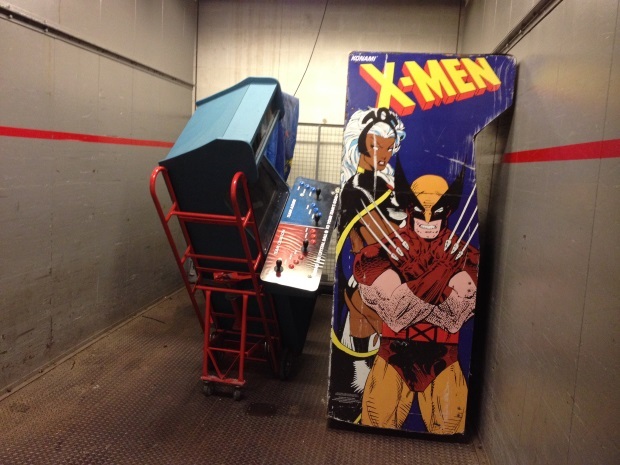 Crystal Brawl and X-Men, a perfect pair. Behind every arcade machine is a tired, phone-checking developer. It was a really bizarre (and humbling) experience to see our homemade games and cabinets alongside amazing works of art. After the night wrapped, the awesome folks from MAGFest packed up the DBAA cabinets to take to their warehouse in DC until MAGFest in January. If you’re heading down for the fest, we’ll see you there! 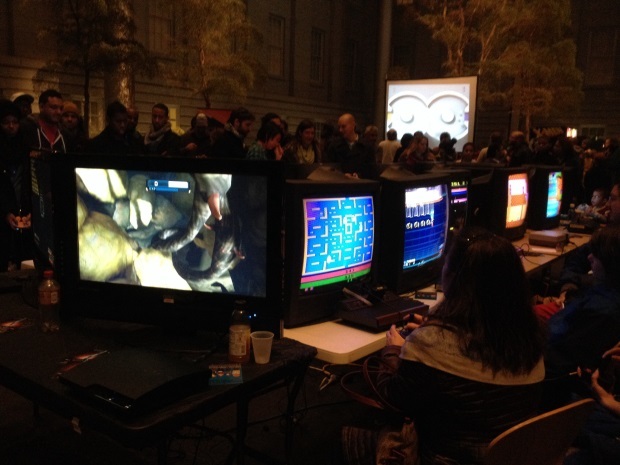 « Death By Audio Arcade Cabinets Invade Maker Faire!